The pangs of an auto-pedestrian accident are felt more by the pedestrian. He or she suffers more from the impact of the vehicle and is exposed to more pain. 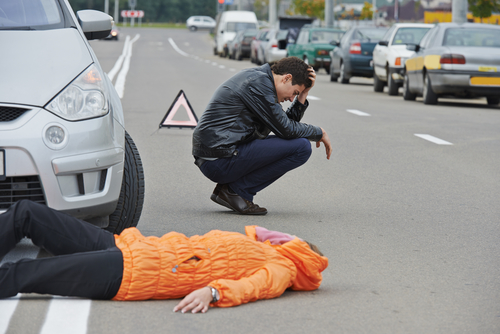 In evaluating the damages done to a pedestrian, it is important to note that the pain suffered by the victim of the accident it’s not just physical, high impact accidents are accompanied by psychological trauma and huge medical bills to settle. It is therefore important that a victim of the potential accident is adequately compensated for all that they are put through, and what better way to guarantee your good welfare than to speak to an attorney, a qualified pedestrian lawyer here in Murrieta. The importance of a good attorney in your case cannot be overemphasized, because most times the contribution of the pedestrian to the accident may be debated, and only a seasoned lawyer can ensure that you are not denied this required experience. At Rawa Law Group, ‘experience’ is one of the many qualities that we have. We are a team of first-class legal practitioners that has been in the game for over two decades. Our field of expertise includes pedestrian law, wherein we work to ensure that the welfare of victims of road accidents is protected. For your case, we are ready to go above and beyond. In our build up, we don’t mind drawing the attention of seasoned investigators in order to craft a solid case for you in court. Working with us is a sure way to know that you’re not gambling with the outcome of your court proceedings. We will be honored to carry on your case and to bring you the desired results. Kindly reach out to us today via the address below.